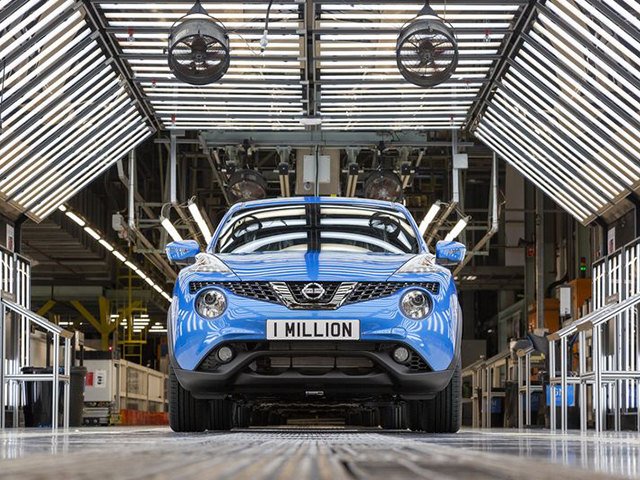 Nissan reaches manufacturing milestone as one millionth Juke rolls off production line. 8 years ago Nissan's Sunderland plant began its 'Juke' journey creating the compact crossover vehicle. Since then Nissan has created a Nissan Juke every 105 seconds! Today we celebrate as Nissan passes the one millionth mark in the line of Nissan Juke production. The one millionth edition to the Juke range, was said to be a Tekna grade in vivid blue, the most recent colour to be added to the range. A huge achievement for the UK based Japanese multinational automotive manufacture. We look forward to hearing more positive news about Nissan soon.